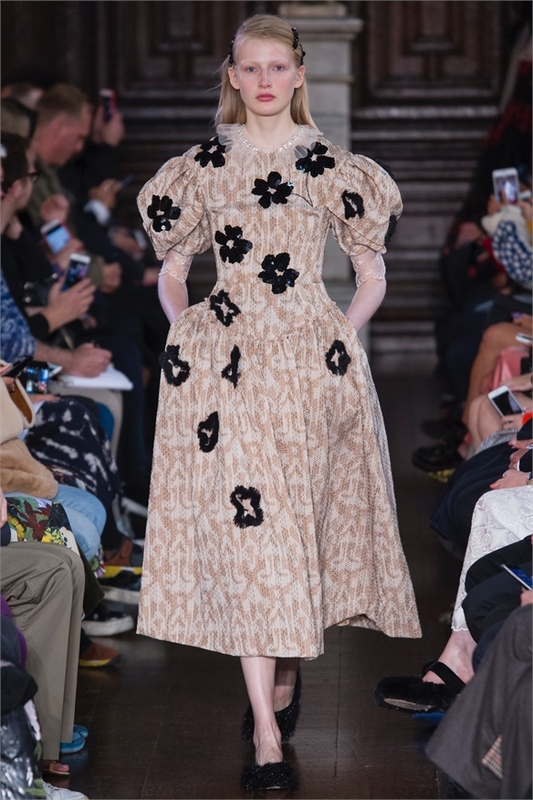 Simone Rocha delivered one of the prettiest collections of the season so far, tapping into the emerging mood for escapism with silhouettes straight from the Victorian nursery. 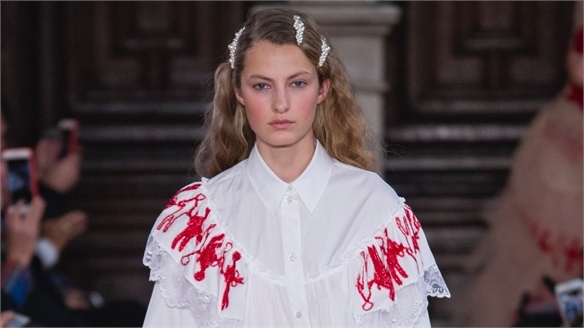 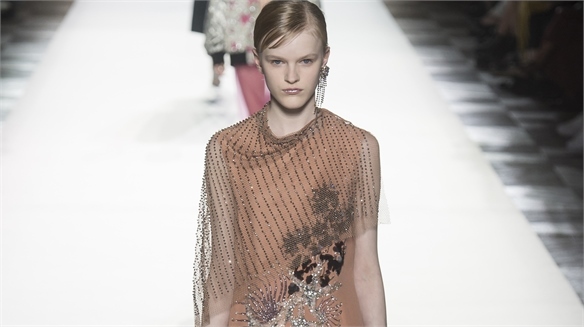 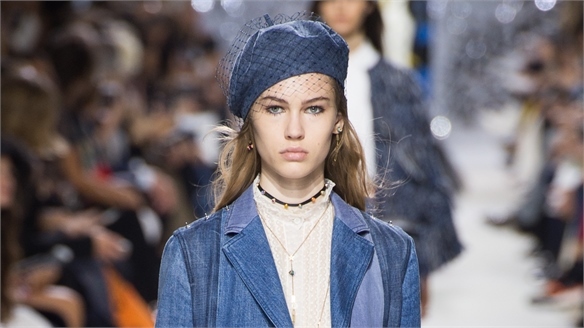 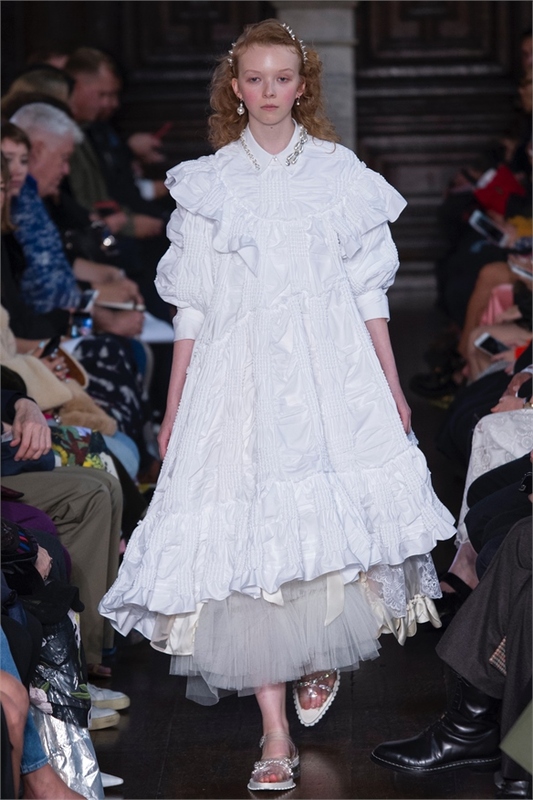 The look was the culmination of the Victorian/Edwardian influences that have underpinned the high street in recent seasons, with frou-frou ruffles and flounces adding volume to swingy, smock-shaped dresses. 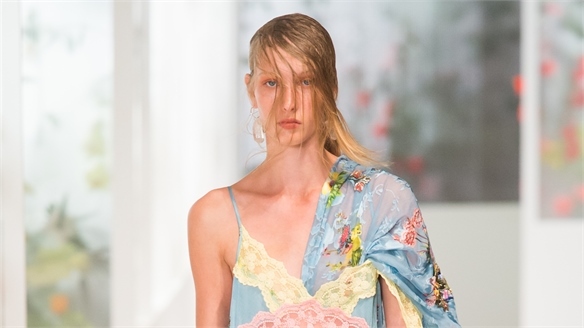 Pouffed bubble hemlines added to the babydoll look, highlighted with a palette of crisp white and palest balletic pinks, along with the quirky, homespun embroidered doll motifs tracing the edges of soft, undulating frills. 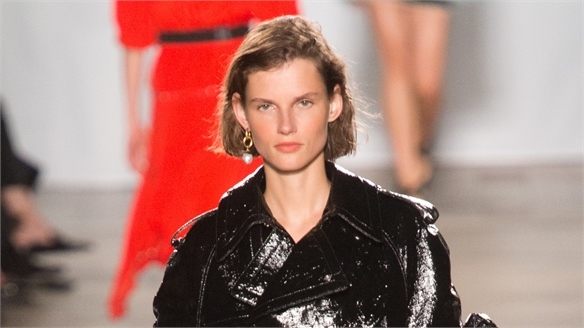 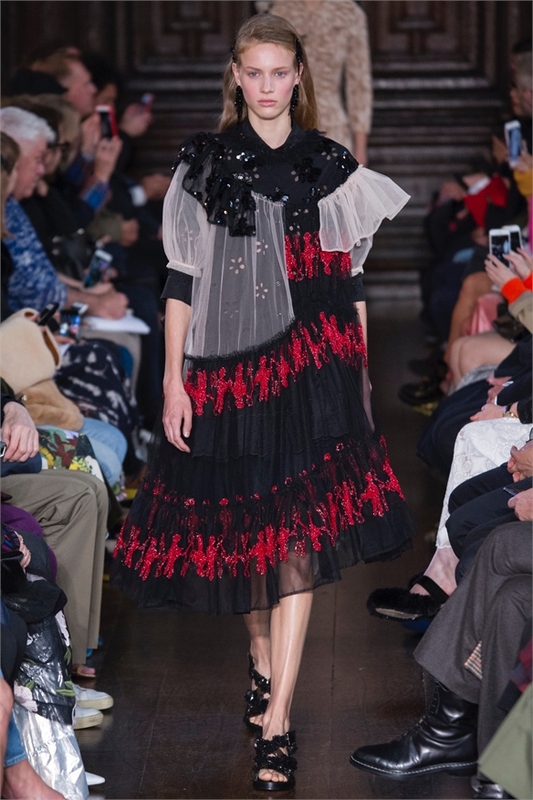 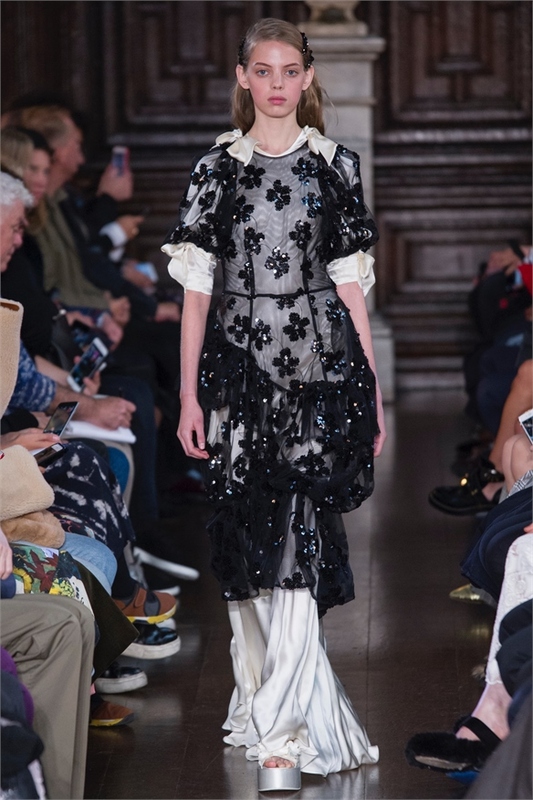 Rocha delivered a darker Victoriana mood in the collection’s black taffetas, jet beading and funereal satins, alleviated by sprigged rosebud florals and simplistic sequined daisy flowers on sheers. 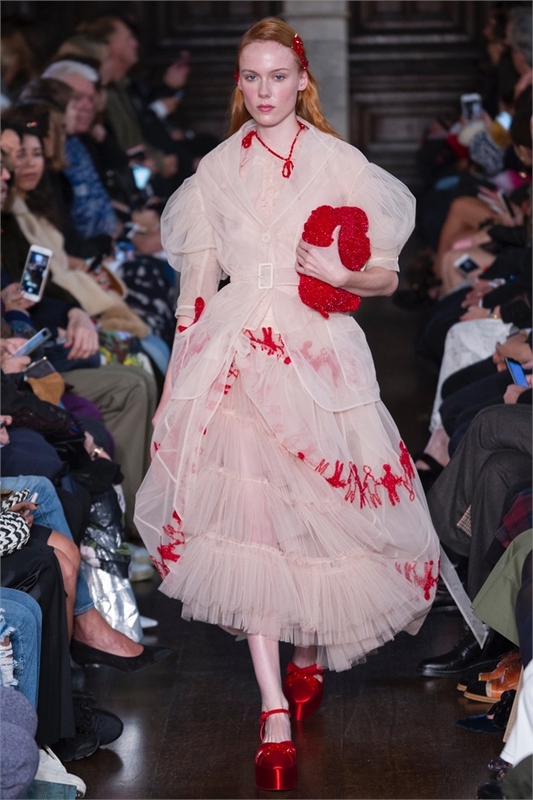 Crisp cottons, broderie anglaise, organza and ethereal tulle were offset with the more sculptural appeal of moire taffetas and the rustic touch of rose-patterned, homespun tweeds, with their tufted floral trims. 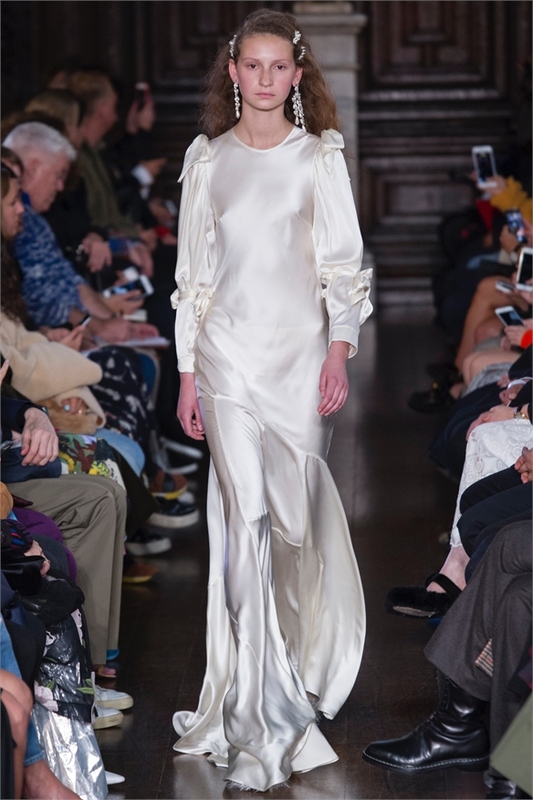 Meanwhile, elegantly worked bias satin dresses straight from a 30s boudoir delivered a change of tack. 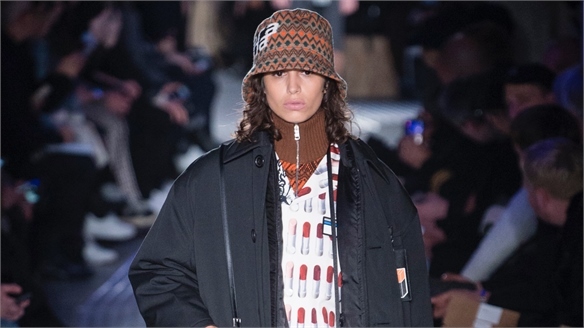 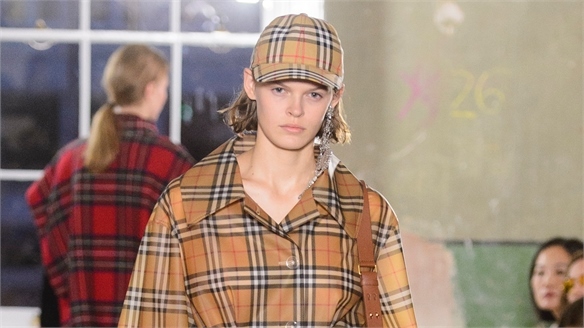 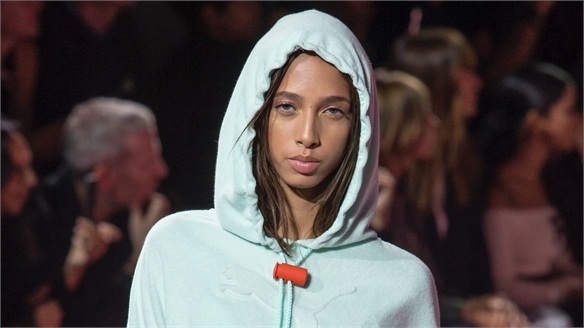 It may not have been the season’s most commercial collection, but it perfectly encapsulated the emerging mood for a return to simpler, childlike-times. 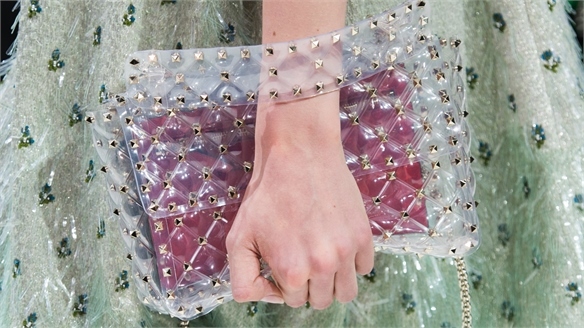 There were plenty of influences to inspire party developments, along with covetable accessories like the squishy clutch bag, cellophane-look sandals and red velvet Mary Janes. 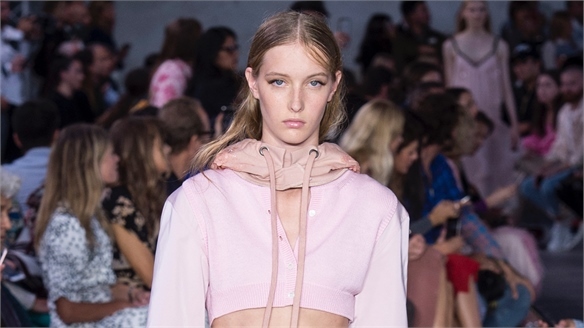 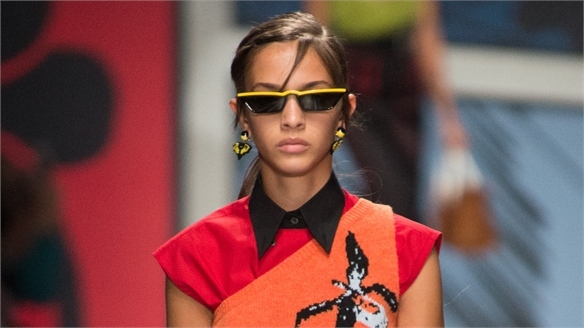 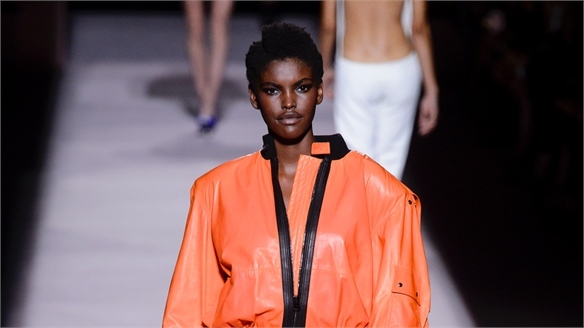 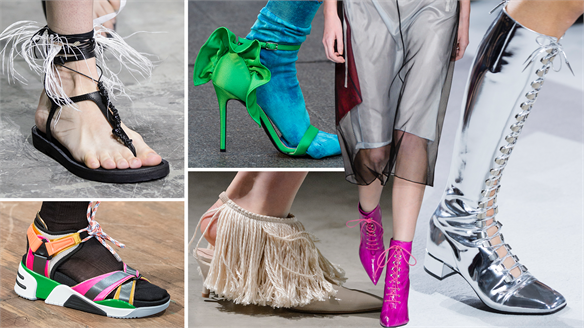 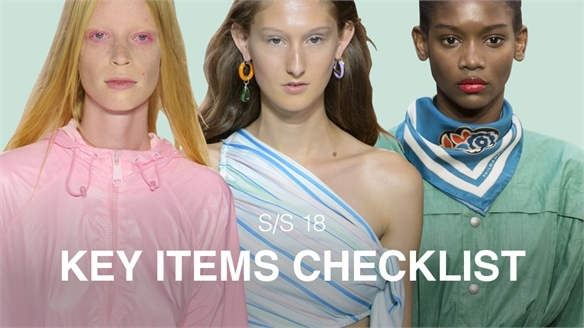 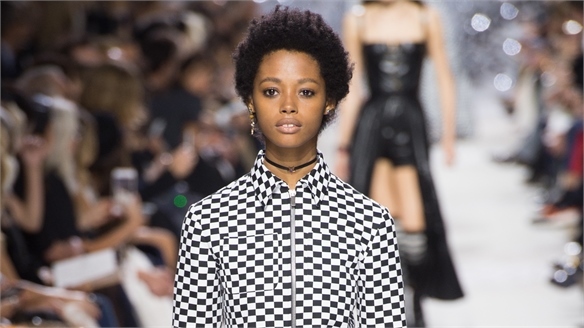 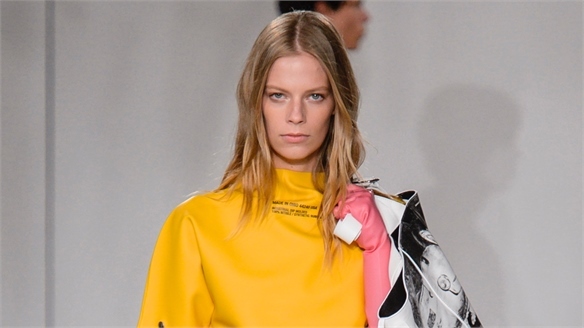 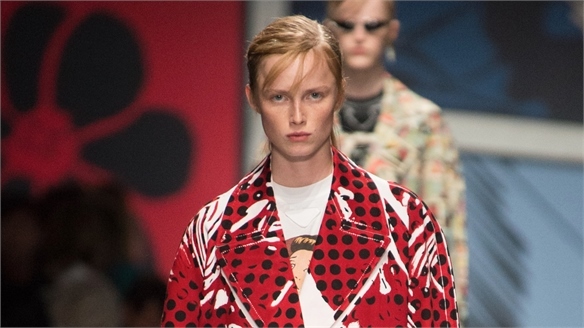 S/S 18 Paris: Footwear & Accessories S/S 18 Paris: F&A Colour and material are the driving forces behind some of the must-have footwear and accessory items promoted on the Paris runways. 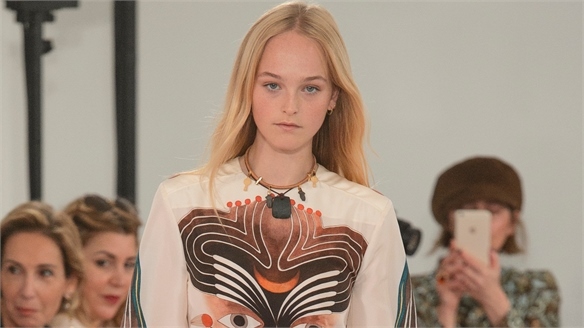 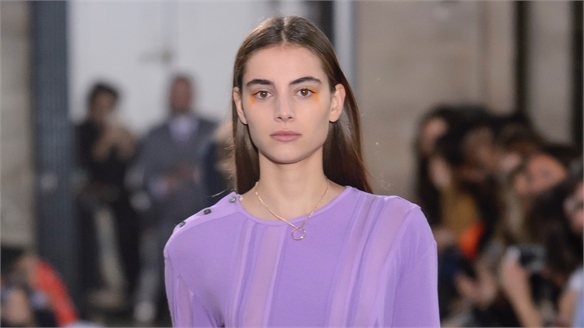 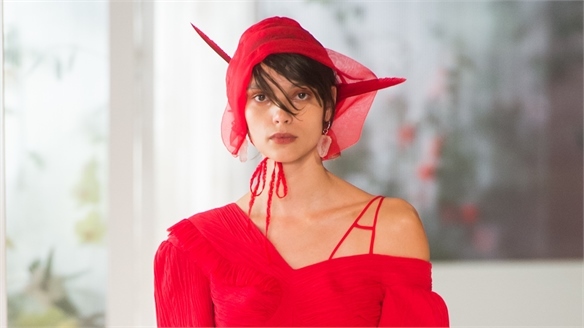 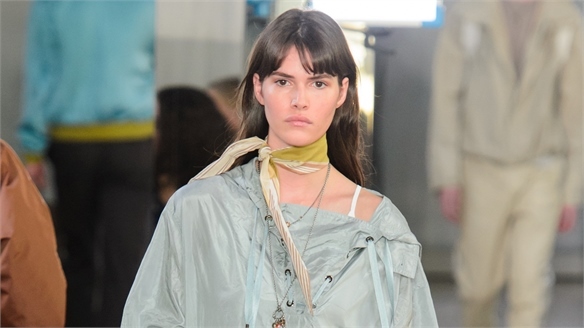 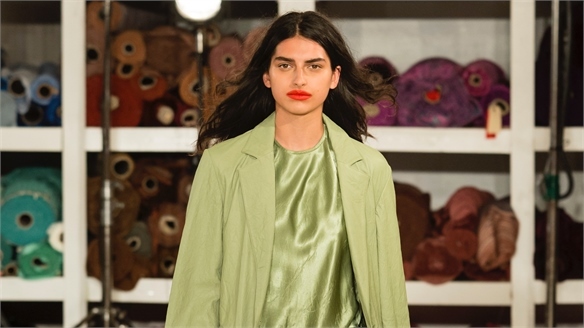 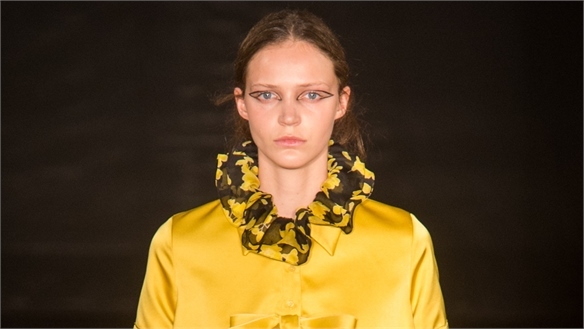 S/S 18 Influencer Show: Preen S/S 18 Influencer Show: Preen Preen delivered one of the season’s most delectably pretty collections, with cobweb-light silhouettes and a delicate colour palette delivering an escapist dream in today’s troubled times. 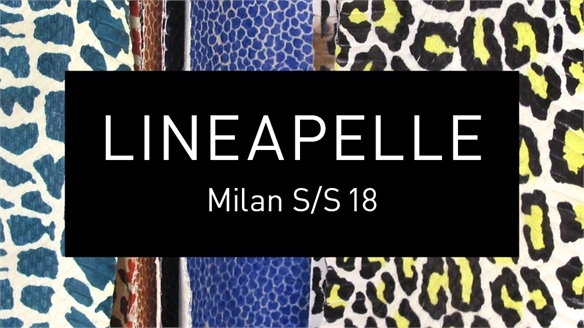 Lineapelle S/S 18 Lineapelle S/S 18 Held at the Fiera Milano in Italy, leading leather trade show Lineapelle is an essential biannual event, demonstrating the latest trends, techniques and innovations in leather and skins for the fashion market. 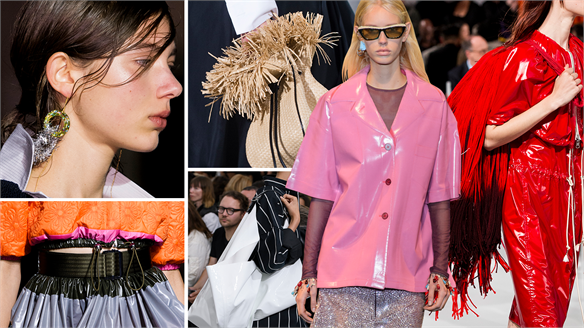 We draw out the important new developments for Spring/Summer 2018. 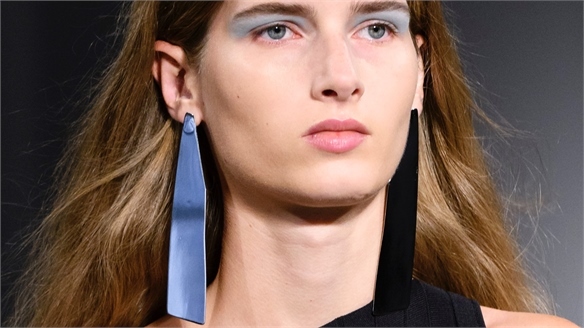 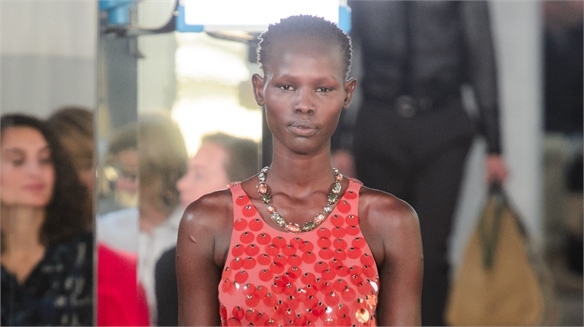 Lineapelle S/S 18: Colour & Finish Lineapelle S/S 18: Colour & Finish The S/S 18 edition of Lineapelle featured vivid colour accents, refined metallics and enduring colours refreshed through texture and touch. 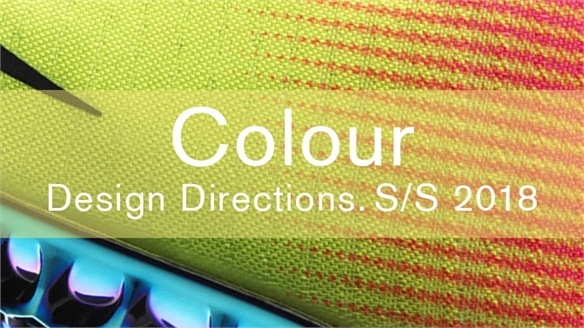 We round up the key colour and finish directions for the forthcoming seasons. 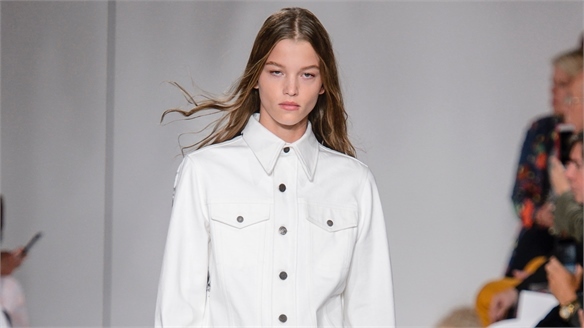 Lineapelle S/S 18: Innovation & Technique Lineapelle S/S 18: Innovation This season offers a range of woven constructions, gentle textures and coated surface treatments. 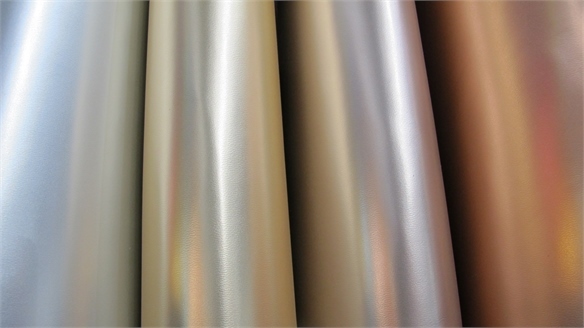 From matt and gloss finishes to fine lacerations and cutwork, we highlight the key innovations and progressive techniques. 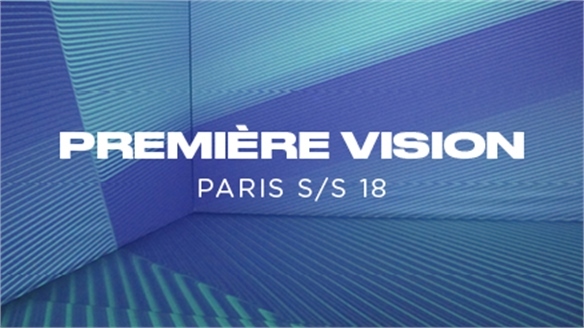 Première Vision S/S 18 Première Vision S/S 18 Held in Paris, Première Vision is the fashion world's leading biannual textile trade show. 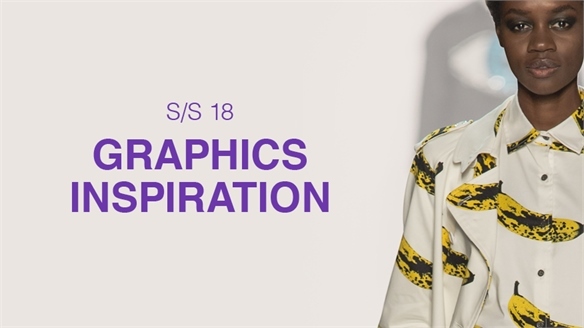 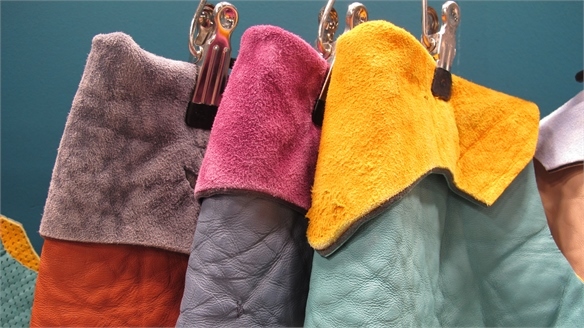 Our two reports from the S/S 18 edition highlight key innovations and trends within colour, print, pattern, material and finish, as well as important new exhibitors. 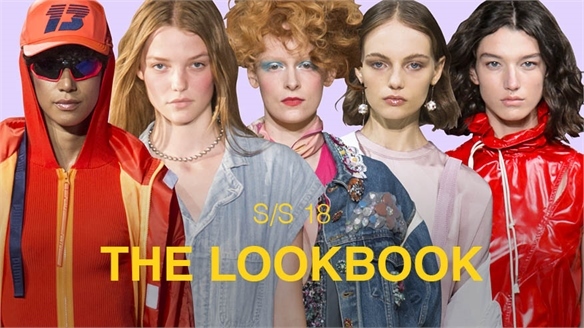 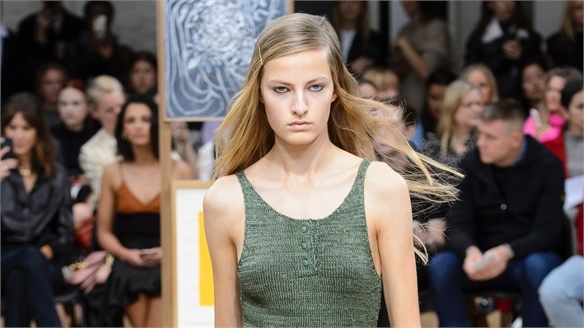 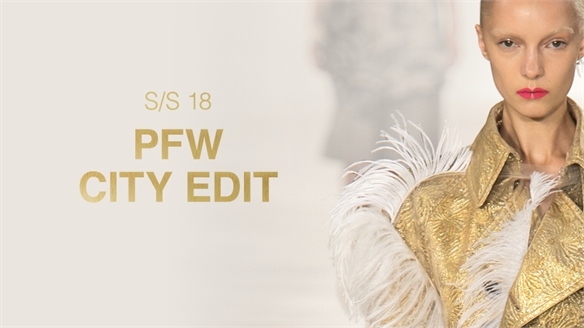 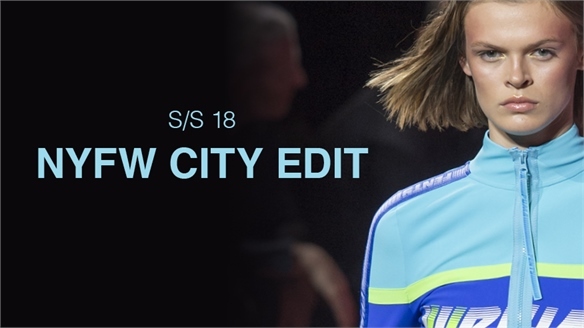 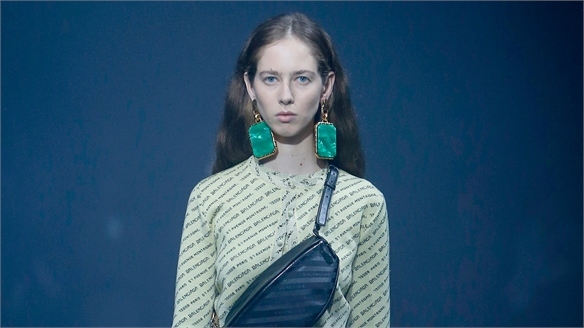 Première Vision S/S 18: Colour Première Vision S/S 18: Colour The S/S 18 edition of Première Vision combined fresh bright colours in progressive shades of green and yellow, with lustrous liquid metallics, natural indigo and gloss black. 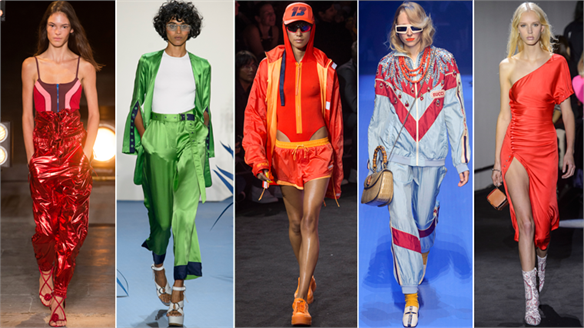 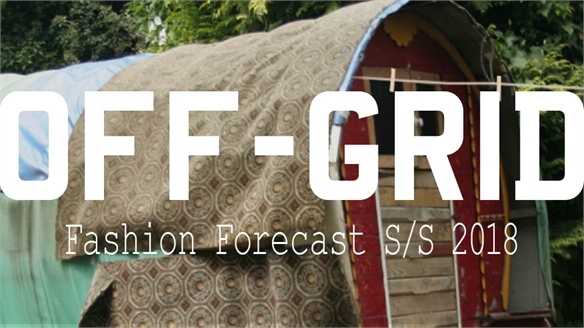 We round up the key colour directions for the forthcoming seasons. 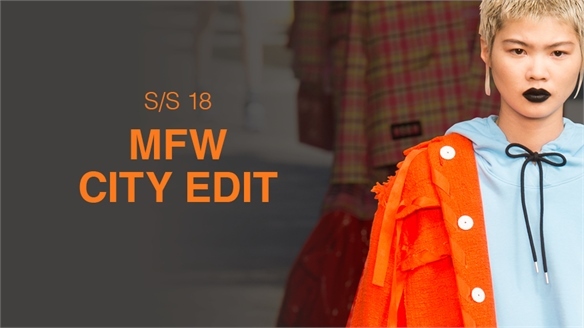 Première Vision S/S 18: Material & Technique Première Vision S/S 18: Material We round up the latest material and finish directions for S/S 18, highlighting the nature-inspired innovations and tactile techniques that will be impacting the industry, as well as essential new exhibitors reviving textile craft. 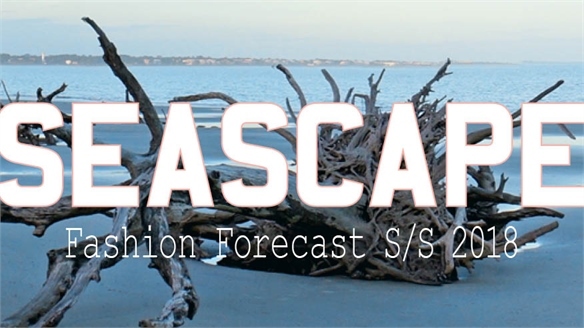 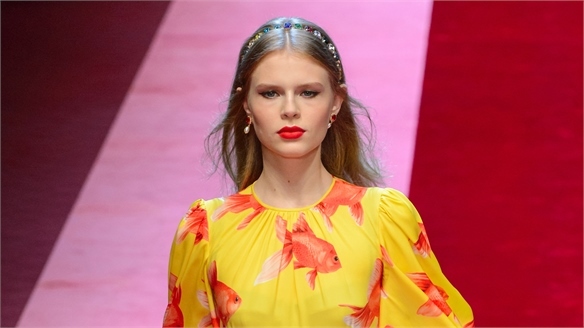 Beach 2018 Fashion Inspiration 2 Beach 2018 Fashion Inspiration 2 Inspired by our Seascape Fashion Forecast and Special Occasion report for Spring/Summer 2018, Beach Shop for contemporary customers takes a deep-sea dive, with inky underwater tones and languorous, lounge-like fabrications. 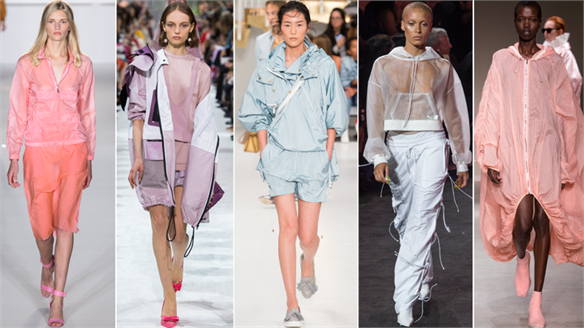 This is a luxury approach to beachwear, with a focus on sophisticated accessories and elegant cover-ups. 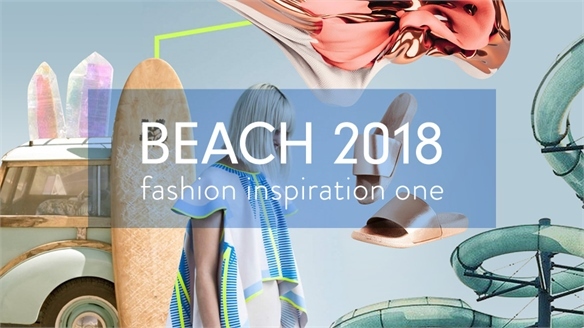 Beach 2018 Fashion Inspiration 1 Beach 2018 Fashion Inspiration 1 Taking inspiration from our Seascape Fashion Forecast for S/S 18, our first Beach report is full of sporty yet pretty surf-girl influences. 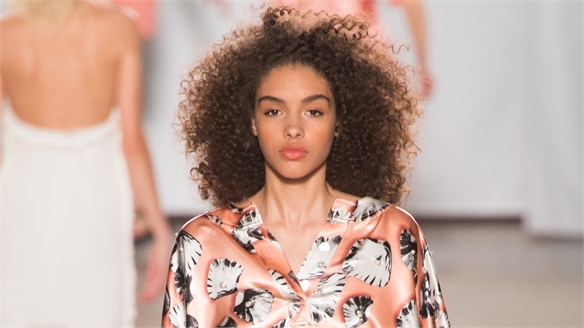 Miami-esque pastels with neon flashes, 80s retro graphics and matt sanded surfaces work cross-category for a co-ordinated beach look that is perfect for juniors. 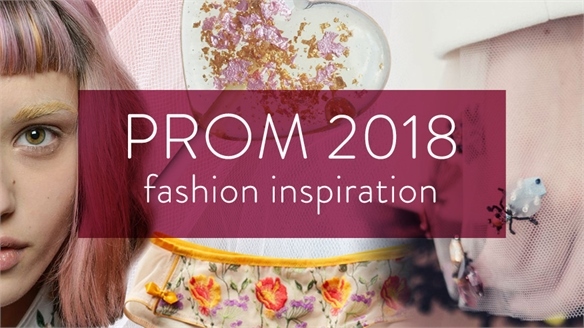 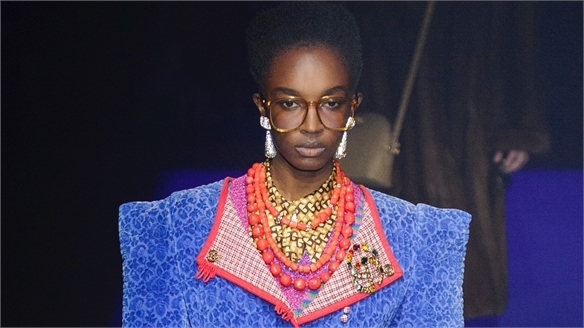 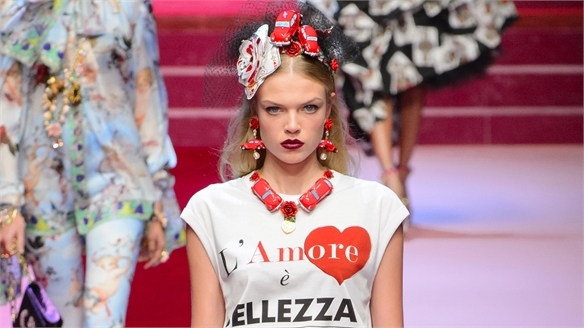 Prom S/S 18 Fashion Inspiration Prom S/S 18 Fashion Inspiration Prom takes a more crafted and individual approach for Spring/Summer 2018, with a swathe of creative looks inspired by our Artisan Fashion Forecast. 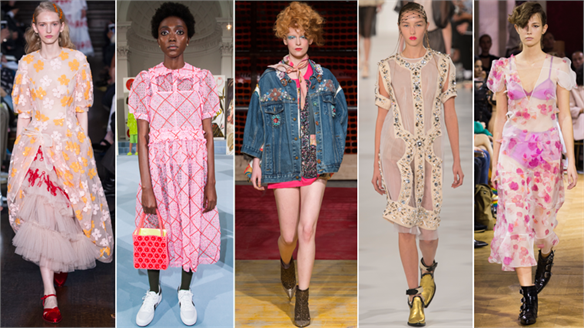 From flower girls in decorated denim to pretty punks in Courtney Love-inspired white dresses, this is about making prom more personal. 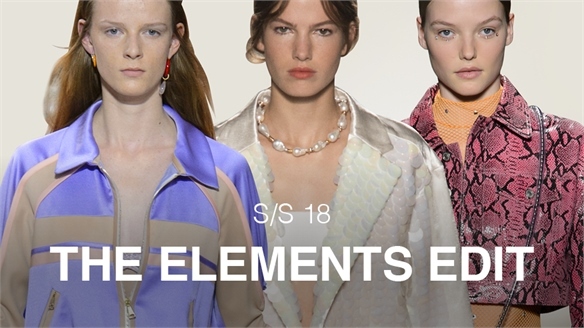 Special Occasion S/S 18 Fashion Inspiration Special Occasion S/S 18 A languorous and relaxed approach to special occasionwear presents a real departure for Spring/Summer 2018, which is much more about luxury lounge-inspired looks than smart, formal silhouettes. 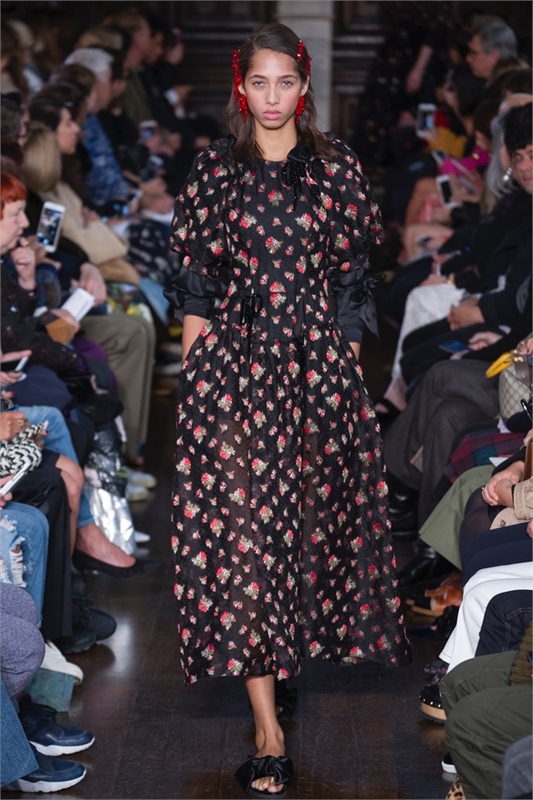 Dark exotic florals, sumptuous silks and fluid velvets all deliver on decadence while minimal accessories add a modern twist. 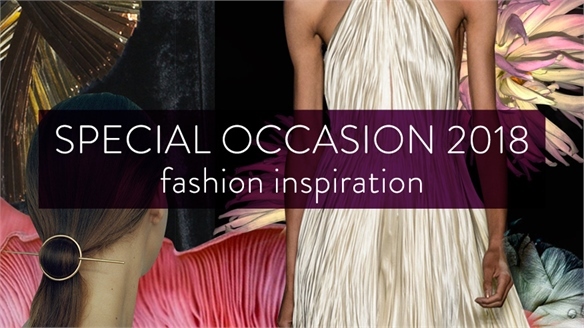 This is special occasion dressing with contemporary appeal. 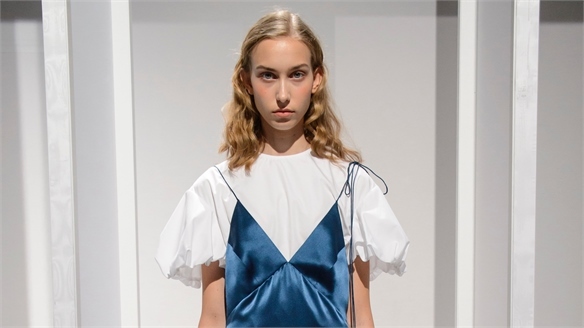 Seascape Spring/Summer 2018 Seascape Spring/Summer 2018 A common thread running through our three S/S 18 Fashion Forecasts is the idea of escaping from increasingly homogenised lives, and in our third trend, Seascape, we seek true escapism in a visual celebration of water. 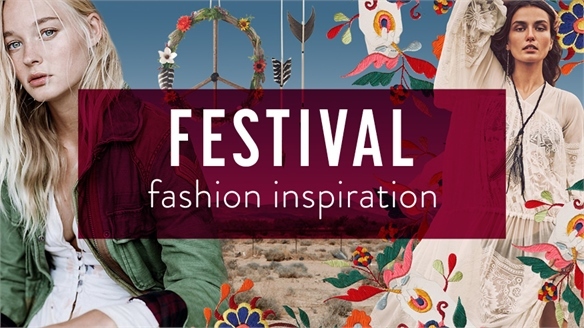 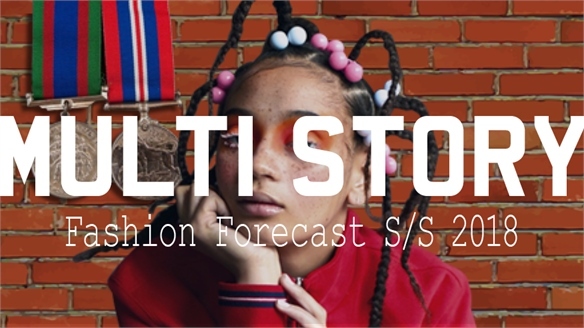 Multi Story Spring/Summer 2018 Multi Story Spring/Summer 2018 As territorial borders come into focus on the global political stage, we celebrate the multiculturalism that forms the heart of urban creativity and storytelling. 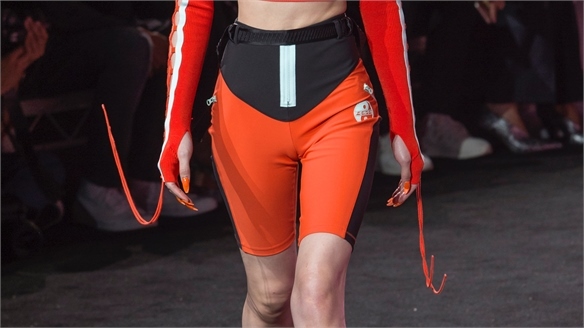 Cultural guardianship crosses over into an intense personal style statement, and is remixed against a backdrop of authentic sportswear – the ultimate unifying fashion influence that exists without boundaries. 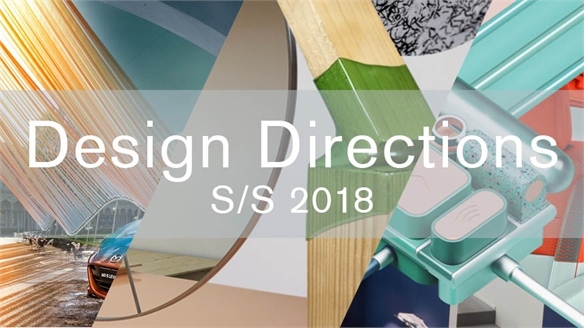 Design Directions S/S 18 Design Directions S/S 18 Examining developing innovations and breakthrough ideas across the design sectors – from architecture and fashion, to consumer electronics and furniture – our Design Directions outline three key trends for S/S 18 product design development: Blend, Embrace and Charge. 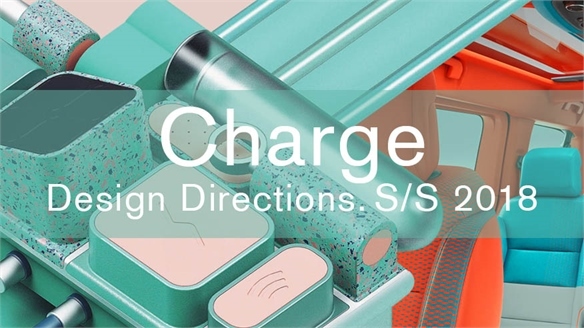 Charge S/S 18 Charge S/S 18 With our daily lives overwhelmed by physical and digital interactions, Charge looks to simplification, and how user experience can be both frictionless and fun. 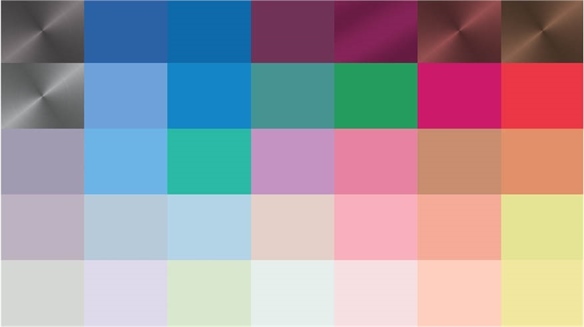 We develop thinking from Indicate A/W 17/18, looking to approachable products that bring user experience and technology closer together for enhanced simplicity and enjoyment through touch. 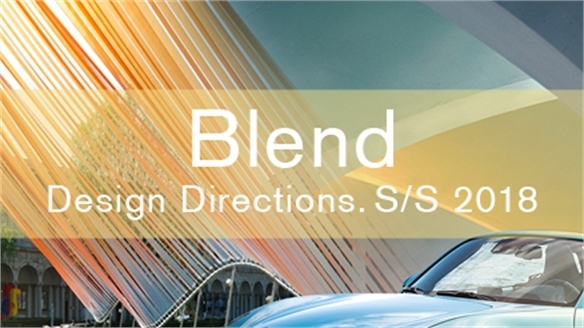 Our everyday products require instant engagement – that which delivers surprising functionality and increased personal flexibility. 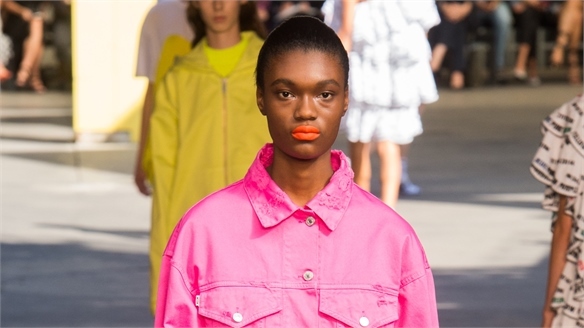 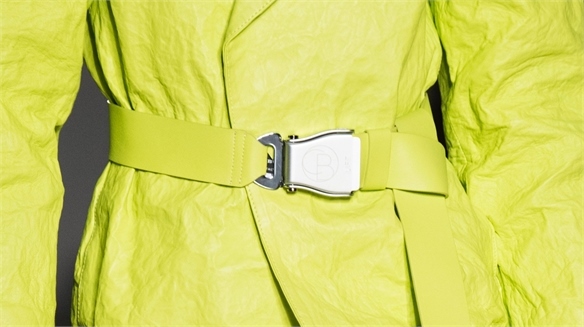 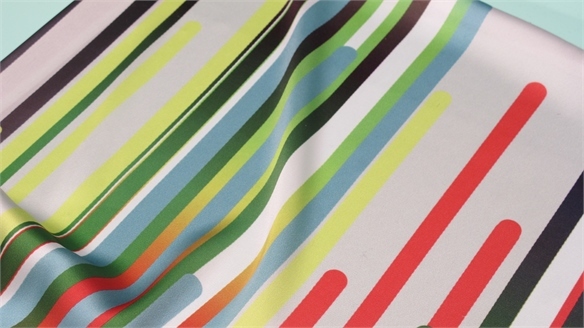 Colour S/S 18 Colour S/S 18 Evolving from our Spring/Summer 2018 Colour Spectrum, we examine the key hues for our S/S 18 Product Design Directions – Blend, Embrace and Charge. 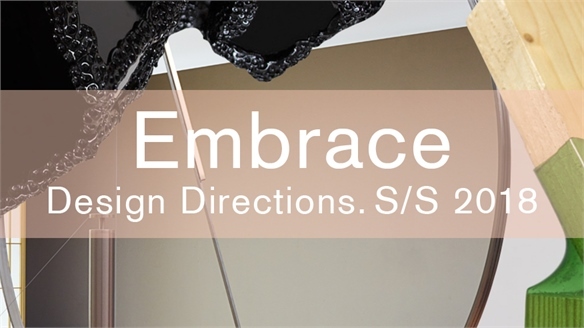 Embrace S/S 18 Embrace S/S 18 As ecology and philanthropy become increasingly important within our daily personal and social spheres, Embrace S/S 18 looks to the products designed with purpose. 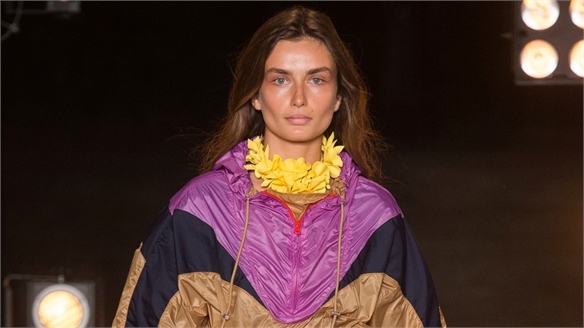 We take a grounding influence from Balance A/W 17/18 and evolve Considered Environment 2018 to reap the organic benefits of waste materials and adopt good practices within production, with premium execution. 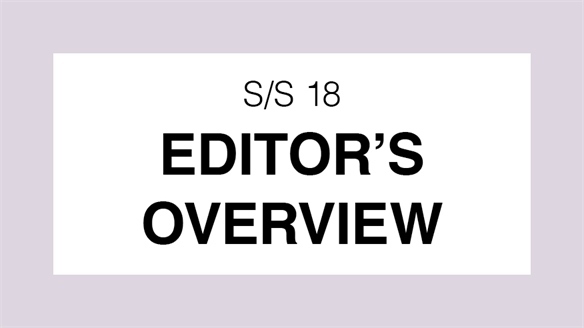 Blend S/S 18 Blend S/S 18 In an age of nomadic living and new definitions of physical and geographical borders, our S/S 18 direction Blend looks at how we can blur the spaces in between. 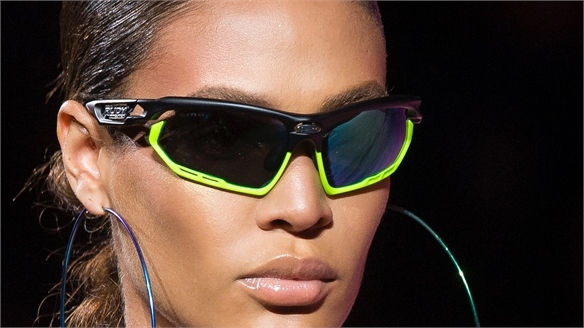 We take cues from Materials Focus 2018: Dynamic Opacity to explore the potential of embracing phase-changing materials and biomimicry to create subtle, shape-shifting forms that are discreet, yet highly functional. 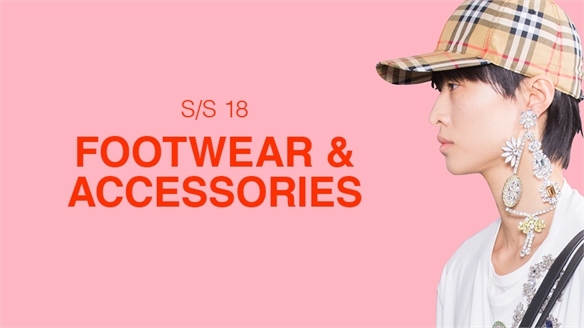 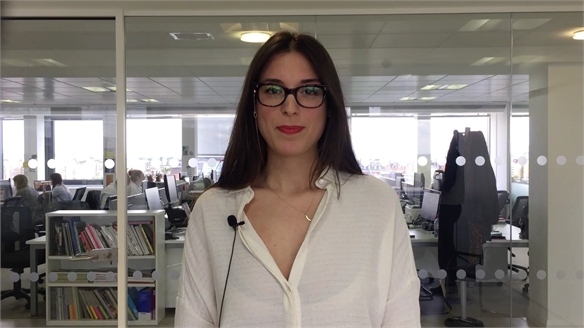 VIDEO: Fashion Forecast Spring/Summer 2018 VIDEO: Fashion Forecast S/S 2018 Lianne Piroddi, Fashion Researcher at Stylus, gives an overview of our Spring/Summer 2018’s Fashion Forecast reports – from how the athleisure look has moved beyond trend towards everyday attire, to the move towards a more sustainable season neutral wardrobe, and a return to luxury craftsmanship. 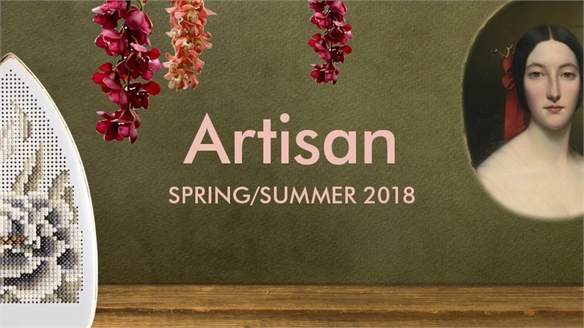 Artisan Spring/Summer 2018 Artisan Spring/Summer 2018 Abundance, time to create and life’s simple pleasures come into focus as we celebrate the luxury of craftsmanship and a couture outlook. 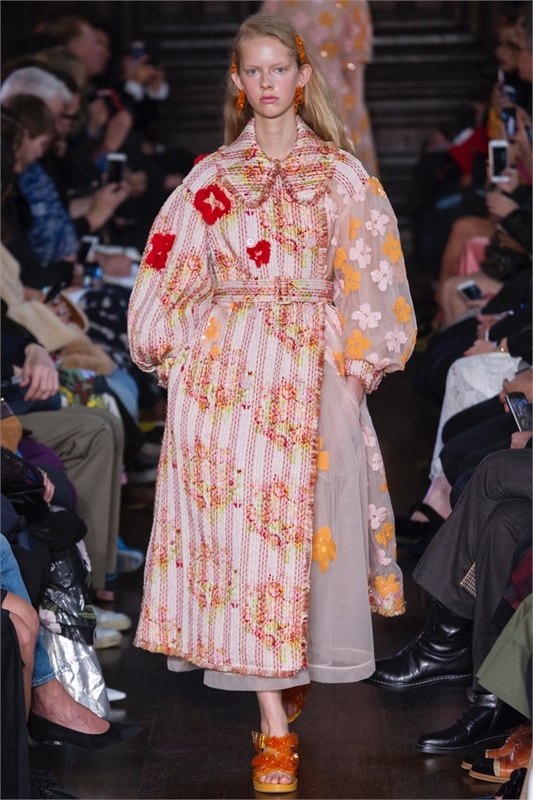 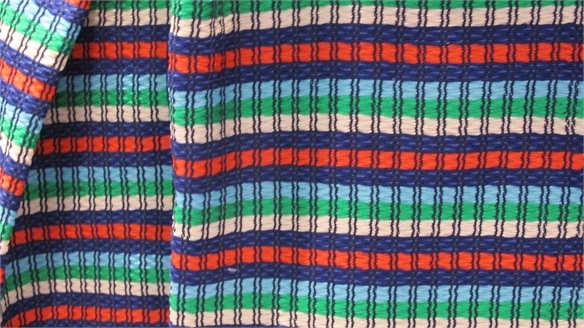 As trends continue to slow down and we pare back our wardrobes to reflect a more sustainable approach, this Artisan feel provides a much-needed counterpoint. 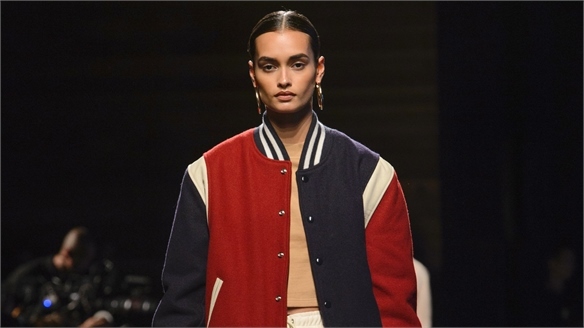 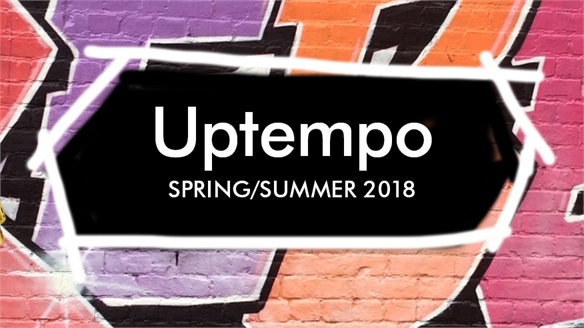 Uptempo Spring/Summer 2018 Uptempo Spring/Summer 2018 As the athleisure look moves beyond trend towards everyday attire, we revisit the origins of sportswear as street style for active-led inspiration. 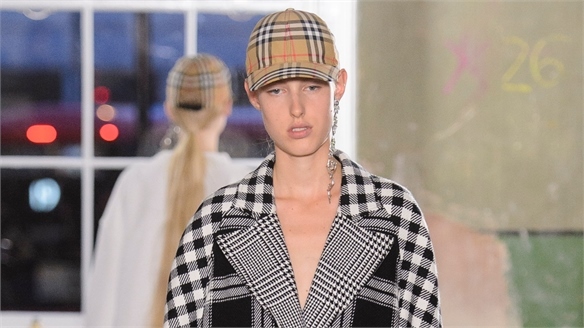 Technical innovations in materials form the update in garments built for faster-paced lives, but the visual influence is nostalgic, featuring 80s hip hop, B-boy style and urban graffiti. 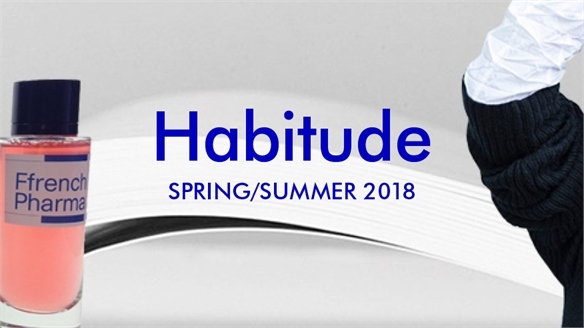 Habitude Spring/Summer 2018 Habitude Spring/Summer 2018 As we look to declutter and simplify our lives, a more considered and sustainable approach to dressing emerges in a wardrobe built around essentials and key pieces that goes beyond trend. 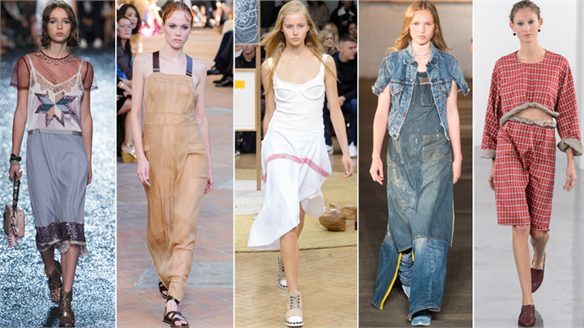 A blank canvas forms the starting point for a finite edit of everyday apparel; hardworking, season-neutral and anti-fashion in its stance.